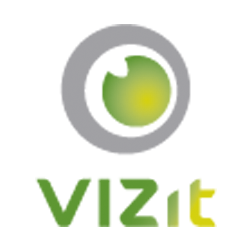 Vizit offers the ability to view previews of documents in SharePoint search. Follow the instructions below to configure search previews in your SharePoint environment for search. In Vizit 5.3, we're introducing the Vizit Search Display Template for SharePoint 2013 search. By following these steps, you can deploy and map the Display Template to any supported Result Type in your SharePoint Search results for 2013. Activate the Vizit Search Display Template Feature at the Site Collection level of your Search site. Navigate to the Site Settings page and choose Result Types from the Search section. Click on the Result Type name and choose Copy from the menu provided. From the "What should these results look like?" menu, choose the option labeled "Vizit Item". Select 'OK' to save your changes. Note: It is also possible to make the same change on a single Search Center results page by updating the XSLT in the Core Results Web Part.